The mechanisms of SEO are changing with each passing year. Although the bottom line is staying more or less the same, yet you will be able to use it according to your convenience. 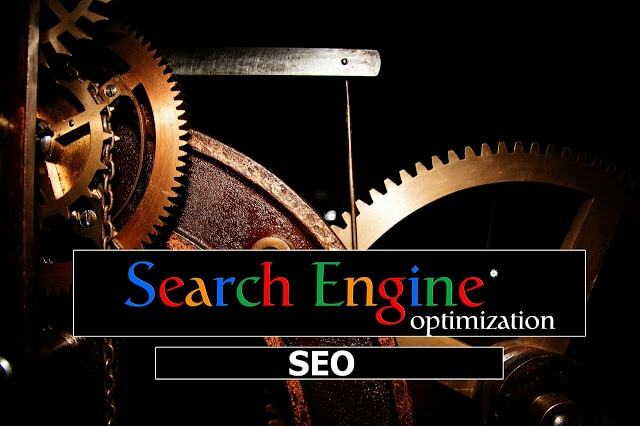 Getting well acquainted with the mechanism of search engine optimization is time-consuming. There are several guidelines and rules that you have to keep in mind which makes it all the way more complicated. Deal with real value and not apply traditional hacks. Young entrepreneurs who are just starting off with their business and are in dire need of bank loan to have a kickstart. When you approach the bank for any loan, the first document they ask for is the past few years of financial records. Now for a beginner, it is impossible to provide any financial records. Immediately the bank rejects your loan proposal. People who are just starting off with search engine optimization; it is very difficult to come across profitable results due to high competition. Eventually, after months of struggle, these beginners shift towards paid Ads. There are always mixed reviews regarding paid Ads. Some believe that these are one of the fastest means of earning money while some believe that this is nothing but a waste of money. Out of all the rules that you can implement in order to dominate the SEO, given below are the fifteen most essential ones. 1. Analyze the speed of your page and boost it when it is needed. 2. To immediately serve your content you can take help of any agency that delivers contents. 3. You should never refer to shortcuts while developing your content. Always implement high quality of materials in your content. The better the content you provide, the more viewers you would get on your page. 4. Nowadays, people generally search on mobiles more and computers less. So focus on improving mobile searches and make sure that your website can be operated or viewed by using mobile phones. 5. Design your website in a very less complicated way. Make it user-friendly so that anybody can operate your website easily. To make your site user-friendly you should seldom use pop-ups. 6. It is very important to keep the viewers engaged on your website thus to make your website more interesting and informative, use podcasts, flowchart images and videos. 7. Implement several keywords while building your domain. The more keywords you provide, the easier it will get for the users to locate your website. Using easy keywords will make your website easily available to the audiences. 8. While setting up the content, input outbound links into it. When viewers will go through your content, they will come across certain outbound links. Clicking on these links will take them to a related article. These will provide the viewers will a series of links to help them out with their journey. 9. You should always give importance to qualitative values and not quantitative values. Your content may lack in quantity but poor quality will leave a bad impression on the viewers. Always keep in mind that your domain should reach out to maximum mass. 10. While setting up your domains, always market it through highly authorized sites. There many authorized domains that will provide proper projection to your websites. 11. Make sure that you don’t end up using maximum ads on your website. 12. Super guides must be used on the website to increase the engagement of the viewers. 13. Never lead your viewers towards any deception through your website. 14. Take the help of social media to add importance to your website. 15. You can target those viewers who hold influential positions on the social and use them to increase the value of your website. Before you delve deep into planning the best layouts that you want to implement while using SEO, first, you need to be well versed with the bases of search engine optimization. 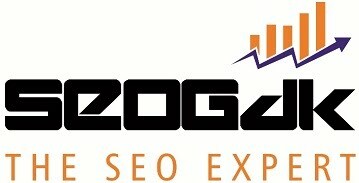 Page rank is one of the oldest bases on which the search engines were first set up. Keeping this at the base, steadily the entire search engine grew like a spider web by linking to one another. The importance of any page shoots up the moment it gets maximum clicks. More links any page gets ensure higher ranks. 1. Authority: It represents the number and essence of links created on the website. Higher the authority, bigger the chances of possessing more links. You can credit authority with the help of several tools. With the help of domain authority and domain Score, any business organization can multiply the number of authority that a domain can possess. Any changes if Made will take at least one or two weeks to reflect in your account. 2. Moving to the Next Essential of SEO is Content: Keeping the present scenario in mind, the content is what matters the most. Higher the level of content, higher is the popularity. Low-quality content has no value in today’s time. In today’s time, your content must be rich in English, information and should be interesting enough to keep the visitors engrossed. If the visitors are impressed by your content, then they would be sharing with more and more audiences. This will immediately shift your rank to the top. 3. Third Important Aspect is Indexed Age: It is very important to keep a note of all your content and links. Indexed age indicates the first date on which Google explored the content. These are the few important aspects that always entrepreneurs who are designing their websites keeping in mind. Over the years, rules have changed. It no more works like that and it is much beyond than just links. The above mentioned fifteen steps must be implemented in order to get the website running successfully in today’s time. Joel House is associated with Brisbane based SEO company that helps small to medium businesses grow their revenues through increased search traffic and SEO Rankings. As the owner of Australia’s highest ranking SEO Company and being an SEO Expert, he has a burning desire to help small businesses with SEO that actually works. Nice article Joel, its clear that you know what you are talking about. Keep up the good work.